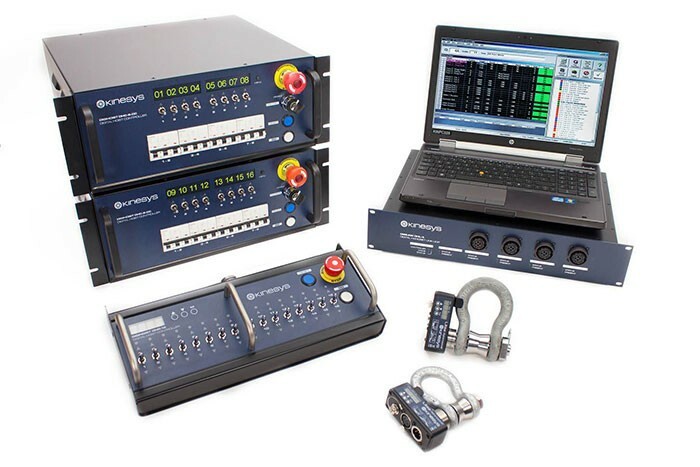 Automation specialist Kinesys has announced a new Positioning & Ethernet option for its advanced digital chain hoist controller system, DigiHoist. DigiHoist, known as one of the most flexible and safe chain hoist control systems currently on the market, has just increased its adaptability with this Positioning and Ethernet option. It allows DigiHoist controllers to offer accurate chain hoist positioning via encoders which are installed in the chain hoists under the unit’s control. Encoder options include Quadrature Incremental and SSI Absolute. For historical compatibility, the system can also read Pulse encoders. Data from the encoders is fed directly into the DigiHoist controller which can then have upper and lower software limits programmed to prevent over travel of the hoist. Additionally, the DigiHoist will stop all movement if the system detects a lack of hoist movement or movement in the wrong direction. The encoders work seamlessly with the inbuilt LibraCELL load cell reading capabilities of the DigiHoist, providing a full range of safety monitoring features for complex lifting requirements. Additionally, Ethernet connectivity allows for multiple DigiHoists to communicate with LibraWATCH, LibraWIFI and Kinesys’ K2 and Vector automation control software platforms, enabling the DigiHoist to become part of a much larger – and fully integrated – automation system. The implementation of positioning functionality in conjunction with its load measuring potential means that the Kinesys DigiHoist system is now fully compliant with BS7906:2005, and as such, can now be used as part of a BS7906:2005 Category A system for lifting and suspension of complex loads above / over people. With load monitoring alone, only simple lifting applications (also known as statically determinate loads) are possible under BS7906:2005. The system can now also be used as part of a SQ P2:2010 D8+ system. A chain hoist compliant with BS7905-1:2005 category A or with SQ P2-2010 D8+ must be integrated with DigiHoist in order to achieve a complete and fully compliant system.